The truth is, the historians and the leaders of the country in the past 'lacked the alignment of the stars' to label someone as a national hero. 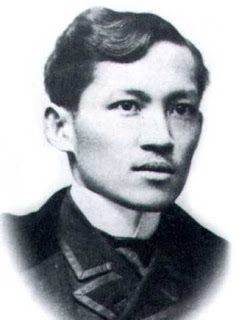 Former President Ramos formed a National Heroes Committee who recommended candidates to be national heroes (Jose Rizal, Andres Bonifacio, Emilio Aguinaldo, Apolinario Mabini, Marcelo H. Del Pilar, Sultan Dipatuan Kudarat, Juan Luna, Melchora Aquino and Gabriela Silang), but so far, no law or proclamation came out of it. Why are we having second thoughts of making it official? It could be politics, or history, or something else. While Jose Rizal was an extremely talented overachiever and a patriot, he was just a victim of circumstances during his martyrdom. He was misunderstood both by Filipinos and Spaniards alike. To us Filipinos, he was a symbol of freedom from tyranny. To Spain (circa 1896), he was the heart and soul of the revolution. In reality, he never pushed for separation from Spain. He sought that learned Filipinos be given equal capacity before the law and make the Philippines a regular province of Spain. In fact, he offered to be "utilized" by the Spanish authorities to have the Philippine Revolution suppressed, which was not given much attention during his trials prior to execution. His position was that the revolution is an unnecessary bloodshed and we may not be ready yet for self-governance. Nevertheless, he still got executed for crimes he didn't do. Did he die for our country? He was made to. Did he love the Philippines and its people? No doubt about it. Is he the person that should symbolize heroism for Filipinos? Maybe. Because we are all victims of circumstances. We all fight for our ideals and passions, and no matter how hard we try, things don't always end up the way we wanted it to. This is at the very core of Filipino Resilience resonating in every Filipino then and today. We accept the outcome, and perhaps get up to fight another day. Bahala na. We'll just leave it there and see what happens next because we did what we can. Viewing it this way, making Jose Rizal as the official national hero has never been so relevant in these modern times.